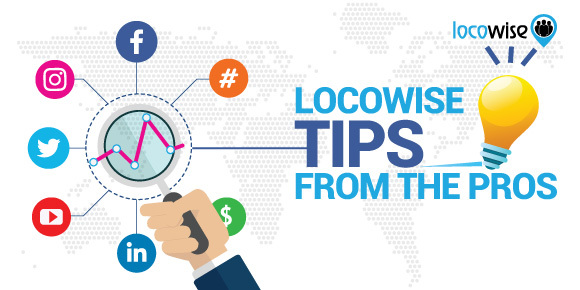 Locowise has been helping clients make sense of their social media for quite a while now. So in this post we thought we’d take a look at some of the features that have really made a difference for our clients. We’re talking about those features that add more value to a client’s understanding their social media, and also help them to get more results. We have clients ranging from companies that do social media in-house, to social media agencies who handle huge clients of their own. The following features of our platform have proven to be particularly useful to all. While it may seem a little obvious, we’re proud to say that one of the most strikingly helpful features that our clients have reported to us is the user interface itself. It could have been very easy for us to just bolt on an interface that was similar to so many other social media tools around. But we thought otherwise, and it has paid off. One of the key aspects here is the Report Builder itself. A click or two once you have logged in, and you have a full report with all the data you could possibly need on a competitor, or your own brand. The speed of entry into the backbone of what Locowise does has impressed all our clients. We tried to make it as easy as possible to get involved and straight into the action (we call data action, basically) and it seems to have worked out pretty well for us. Creating a single report in seconds, you immediately get 20 single data points, depending on the platform you are looking at. This means you can pull up all of the important information on how your Facebook account is progressing, for example. The timelines show audience growth, a key chart for any self-respecting social media manager. And being able to dig deeper into post performance is fundamental stuff. And that’s all on the samepage. The UI makes a big difference to your experience. Bright, uncluttered, and intuitive, it’s what we’re probably most proud of when it comes to the Locowise experience. One other feature which I find very useful is the Social Audit tool, which allows you to generate quick and fuss-free audit reports that provides topline but relevant data. This is especially helpful for a new client/business, where you usually have little to no data prior. Xing Long Tan from IPG Mediabrands, Singapore. 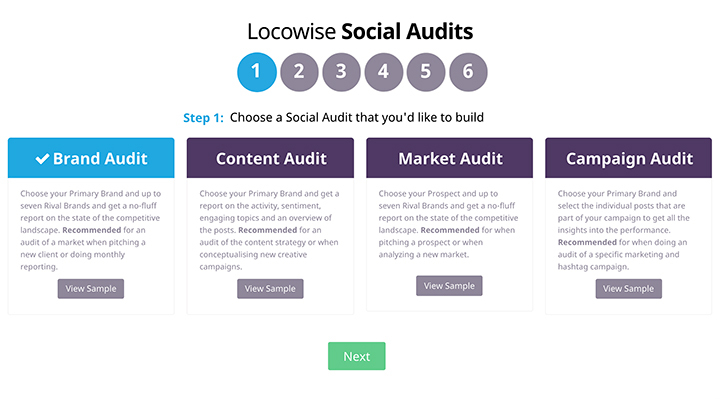 We’d be remiss if we didn’t mention the mighty Social Audit feature. When you’re a hard-working social media manager, the ‘clear snapshot’ of the previous month is a fundamental, but painful, part of your role. Anything that makes it easy to produce and share can only be good. The Social Audit feature allows for seamless creation and sharing, month by month. It’s fast and easy, and pulls up a range of factors that you would otherwise struggle to crunch the numbers for. The ability to run those up against those of competitors also makes for a fantastically useful document. You can change the variables on a regular basis. If you’re looking to get a foothold in a particular industry and want to see how your social media stacks up against a new competitor, or a true legend in your field, run a social audit and see what is working well and what isn’t. Going back to the sharing aspect, you can create a handy PDF for your board members or clients, and this is perhaps even more valuable than the report itself. It’s like having your own social media agency on your computer. We’re super-proud of the feature, and the reporting on the whole is a fundamental part of what we do. This is what ‘useful’ means. We’ve been proud of this particular feature ever since it became a common theme in customer feedback. The best brands take the time to produce high quality content, and being able to dig down deep and find out how each individual post performs is a real godsend to the social media manager, or the busy agency that wants to prove it’s worth through the work. It’s even better in practice too. Click ‘content drilldown’ at the top of the screen and you’re immediately taken into a selection of recent posts for an account. And then, depending on the platform that has been selected (Facebook, etc…) you’re taken through every single factor in a post’s success. 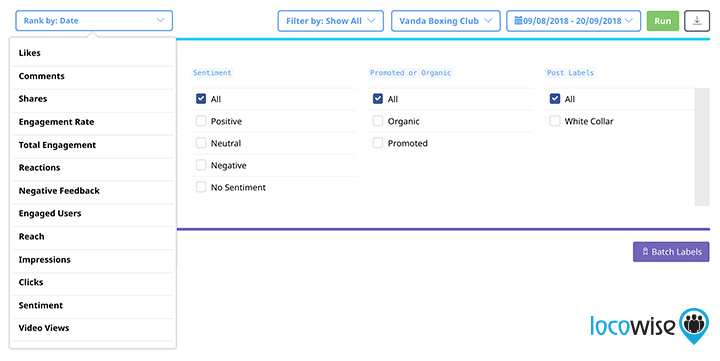 Audience sentiment is flagged up front and centre, so that important indicator is taken care of. And then, for a Facebook post for example, everything is measured. So Likes, reactions and shares are all counted up, as well as total reach and engagement. It’s a perfect snapshot of how a post has done. You also get to compare the results with the average outcomes for posts, so you know immediately how strong or weak that post was. If you’re a social media manager or someone who is looking to gain more value from their brand’s social media work, we think understanding and using the above 3 areas will bring you the biggest results. If you haven’t started yet, what are you waiting for? Take a free 7-day trial of Locowise. 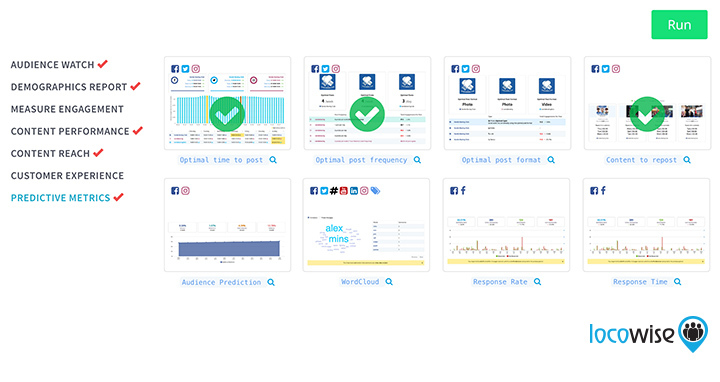 Then, you’ll be looking at gorgeous Social Audits, content drill-downs, and lots more.